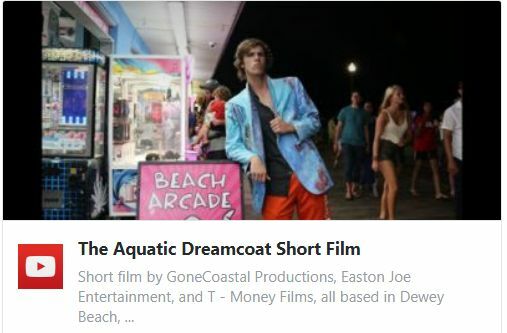 Home NEWS A WGMD Local News Article The Aquatic Dream Coat Movie Premieres in Dewey! The Aquatic Dream Coat Movie Premieres in Dewey! 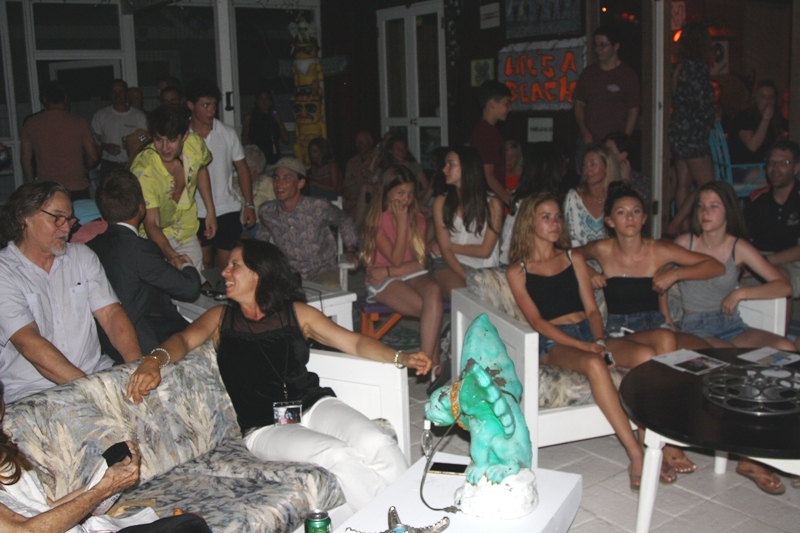 As many as 90 people gathered at the Dewey Beach home of Yvette and Todd Severn this past Saturday night to view The Aquatic Dream Coat, probably the first movie ever shot entirely on location in Dewey and Rehoboth. It had all the look, feel and excitement of a Hollywood premiere. But this wasn’t Hollywood. It was Dewey Beach, on Memorial Day Weekend. Not only was it shot on location with great effort, it features local characters (at least summer residents) who star in and helped produce the film. The local photography is phenomenal. They spent weeks last summer shooting the movie and spent the winter editing the project. The 30-minute movie is professionally edited by them and features creative local photography. The film could pass as a professional production, so much so that it is hard to believe this was their first production. They pushed their skills to the limit in a constructive group project which they have just released on YouTube for public enjoyment. The actors are mostly Dewey regulars who come from the Baltimore area. 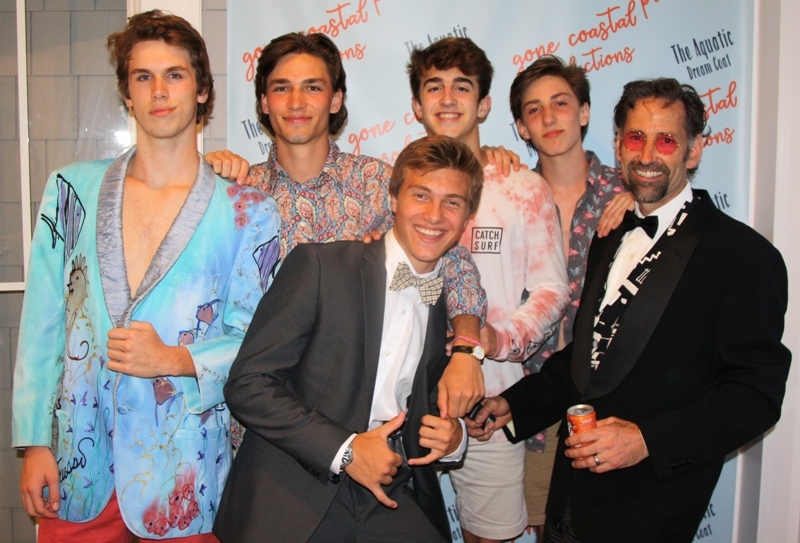 Kolia Malizia, on the left, wears the “dream coat.” Next to him is Beau Severn, the film’s producer and editor, Tyler Judd, the chief production manager, Nick Erni, Hank Severn and Todd Severn. Rehoboth Beach regular; seasonal reporter for WGMD, freelance photog/writer, spot-news junkie and radio enthusiast. Perfect eBay feedback!